Financial Planning covers a vast number of areas, including taxation, investments and pensions. It is vitally important, whether you are already living in Spain, or are thinking of making the move, that you speak with a company who are Fully Regulated and Qualified. The complexities of the different tax regimes mean you need someone who can explain your financial position, and, like our advisers, they should be regulated and registered both in the UK and Spain. Many of us move to Spain to enjoy a new and exciting lifestyle in this warmer climate. Others may be planning on moving to Spain in the future, to enjoy retirement. Whether you are already here or planning on making the move, it is vitally important that you receive advice concerning your financial and taxation situation. You need to receive the advice from a fully Qualified and Regulated firm, who understand the Spanish Tax system. You may hold investments that were extremely efficient whilst you were living in UK, but they may be of little use from a tax planning perspective once you become resident in Spain. Where can you get truly impartial advice? We all have different needs and questions around taxation, Investments and our Pension options, but where can you get truly impartial advice? Our Associates have over 40 years’ experience and having made the move to Spain, as a family themselves, they understand your concerns. 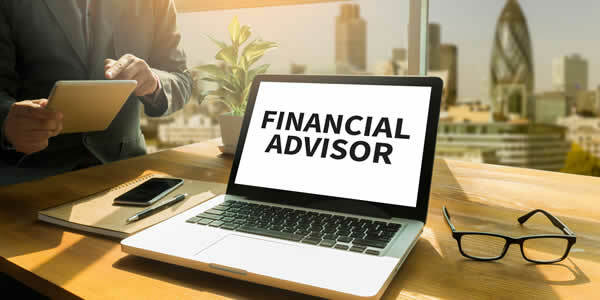 They have 2 Advisers who hold the Diploma in Regulated Financial Planning with the Chartered Insurance Institute, something which is quite unique when compared to other companies. Importantly, with their qualifications, experience and understanding of both UK and Spanish systems, they know how to explain the complexities in a very straightforward and simple way, without the use of jargon. Legislation is forever changing and a person’s choices have increased significantly in recent years. Everyone should review their options, but you need advice from a Spanish Based company who understand the taxation of pensions here in Spain. Understandably, most advisers in the UK don’t know the Spanish Tax System and, for example, would be unaware of how lump sums or income will be taxed. Why not take advantage of a free pension audit, so you know exactly what your options are? Taxation on your investments can have a detrimental impact on your overall goals and aspirations. For most of us it is essential that our investments are held in a tax efficient manner, like Individual Savings Accounts (ISA´s) in UK. AS such, you need an adviser who understands the system and can provide tax efficient solutions. Taxes on our demise can be very expensive, but there are solutions available that mean we can leave our estates to our family and friends rather than the Spanish or British Tax man.